Koch Funeral Home is continually working toward providing you the highest standards of service and merchandise while offering an array of sensible and affordable solutions to help you create a meaningful funeral. 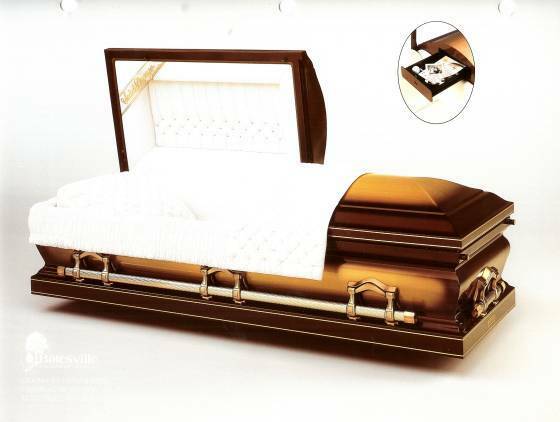 Koch Funeral Home offers a full size selection room where you are able to choose and inspect the exact casket you will be purchasing. 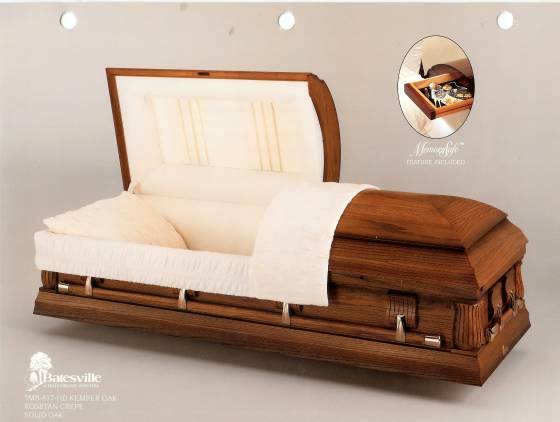 If you can not find the exact casket you wish to purchase on our selection room floor we offer customers the option of ordering from Batesville Casket Company’s catalog. They are our primary provider of caskets and their distribution center can accommodate us with next day delivery (except Sunday) of any in-stock casket at no additional charge. 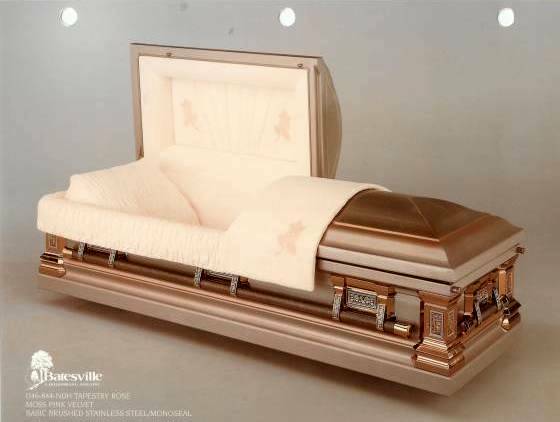 Photos shown are of caskets with half couch lids and are not available through our Batesville distribution center for next day delivery. 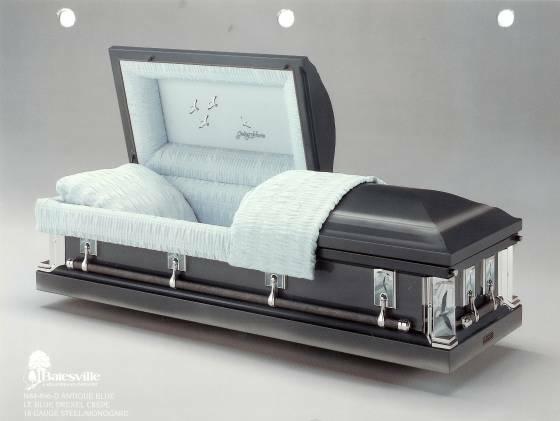 Only full couch caskets are available for next day delivery, half couch caskets may take three days to deliver. These half couch casket photos are used to allow you to see the look of the casket opened at one end and the look of the casket if it were closed at the other end. Although not required by state law, most cemeteries require that you purchase a vault. 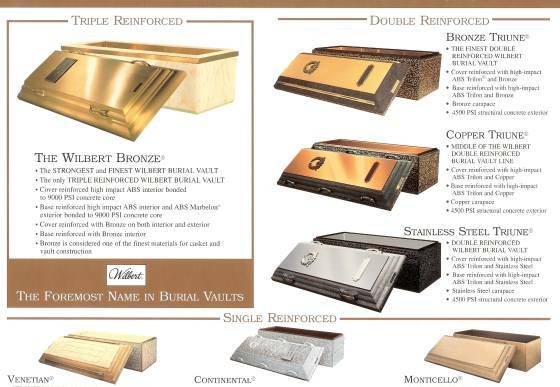 Wilbert Vaults are our primary provider of vaults. Urns come in many varieties of marble, bronze, stainless steel, wood or ceramic. They can be as simple as a box design or as elaborate as a bird in flight or a western boot. Biodegradable urns, scattering urns and urn vaults are also available. 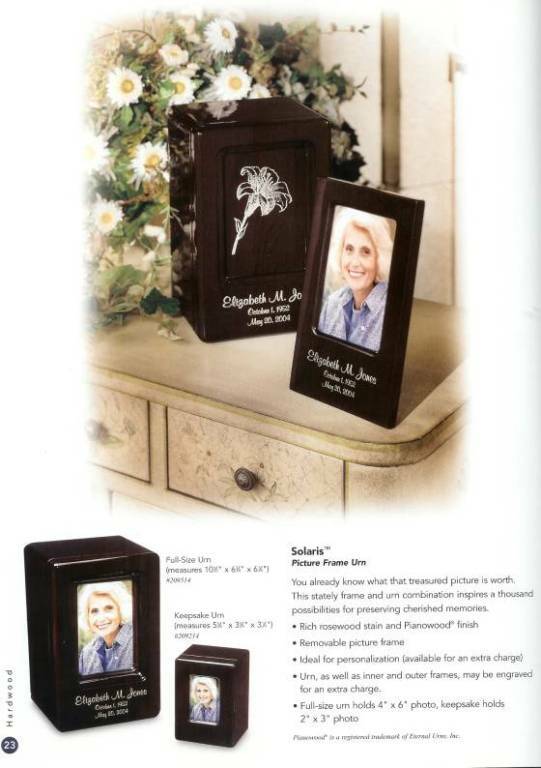 Commemorative Panels - These panels enable families to change the theme of the Photo interior casket lid design. They provide a personal way to highlight a loved one’s interest, hobbies or values. 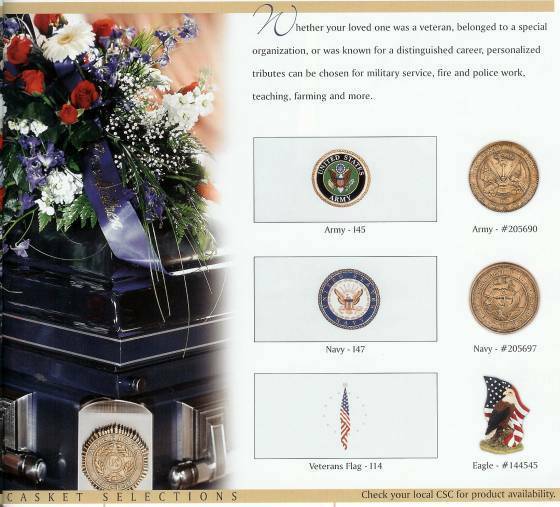 Choices include spiritual symbols, military and organizational emblems, favorite pastimes or special relationships. LifeSymbols – Added to corners of certain caskets, placed in an alcove, or displayed on a table, LifeSymbol Designs are a touching expression of the spirit, personality and interests of a loved one. 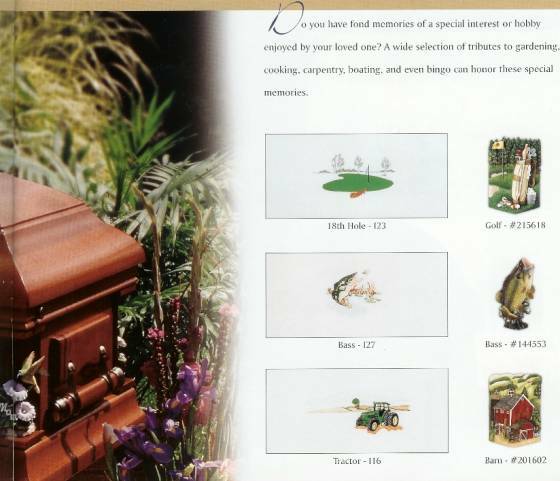 These popular casket enhancements also used as individual keepsakes for family and friends, and include themes for patriotism, gardening, hunting, sports, family relationships and spirituality.